disassembling and repairing seven existing AHU units, inspecting and maintaining seven existing condensing units, providing standalone PC station to allow connectivity to existing WIFI system for communications with AC Control system (existing system 21 zone dampers, 3 bypass dampers), inspect and repair nine existing supply / exhaust fans, maintain existing supply air grills and existing return air grills, install new supply and return air grills in cooking galley, and maintain and install new attic ductwork. 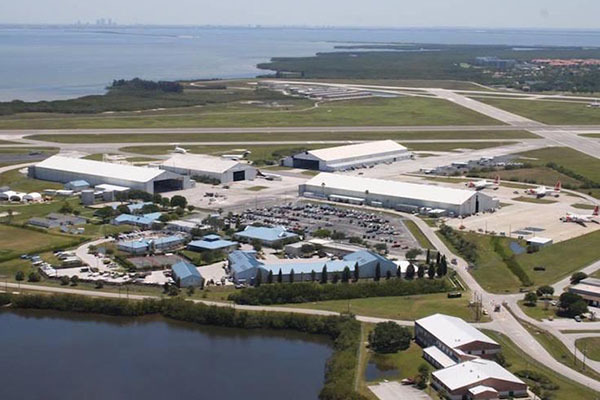 Hydra Engineering & Construction was awarded as the Prime Contractor for this project, located at USCG Air Station in Clearwater, Florida. This scope of work required groundwater sampling and analysis for annual groundwater monitoring report. This sampling is in the vicinity of Hydrant Fuel Pit #3. 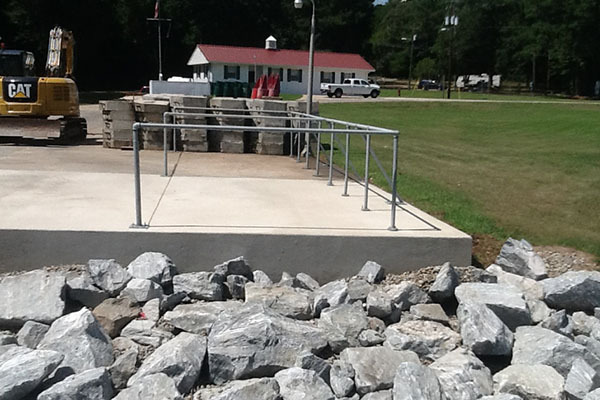 Hydra Engineering & Construction was the Prime Contractor for this project, located at the USCG Aids to Navigation Team in Eufaula, Alabama. This project consisted of demolishing a portion of the concrete slab that eroded under and adjacent to the wharf abutment wall. It also included installing rip rap for bank stabilization, and construction of a new concrete slab, re-routing existing utility lines and French drains adjacent to the slab. Clearwater, Florida. The project consisted of repairing the existing wash rack system at the Coast Guard Air Station. It also included connecting a new aircraft spray system to the existing 1,100 GPM 100HP rinse pump, furnish and installing two new elevated water monitors with nozzles, new valves, flex connectors, float valve, and foundations and repair existing portions of the wash rack apron concrete curbs. 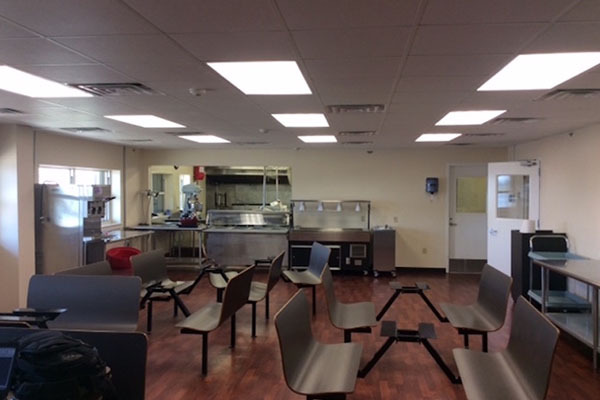 Hydra Engineering & Construction was awarded as the Prime Contractor for this project located at the U.S. Coast Guard District 8 Representational Facility in New Orleans, LA. Hydra was responsible for repairing the kitchen, which included removing quarry tile flooring, cabinetry and countertops, kitchen island, existing sink, garbage disposal, cook top, ovens, and dishwasher. Hydra then replaced these items with brand new components. 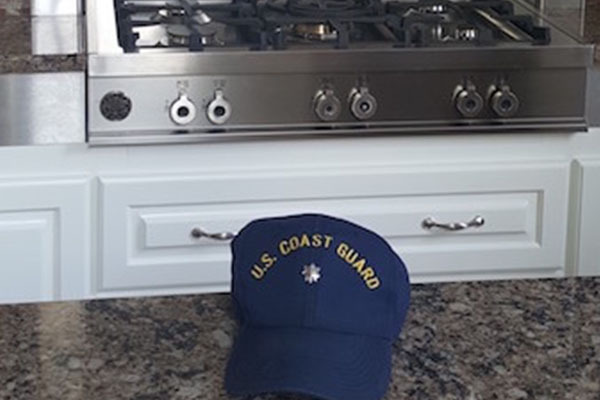 In addition, Hydra installed a new gas range top and stainless steel range hood, two GFE ovens and wine coolers. Lastly, Hydra painted the walls, installed spray polyurethane foam insulation, sealed walls and flooring, installed outdoor louvers, new natural gas line, a new dedicated 120V.20 ampere appliance branch circuits and double duplex GFCI receptacles, 600W lighting dimmer controllers and all new NM branch circuit wiring.